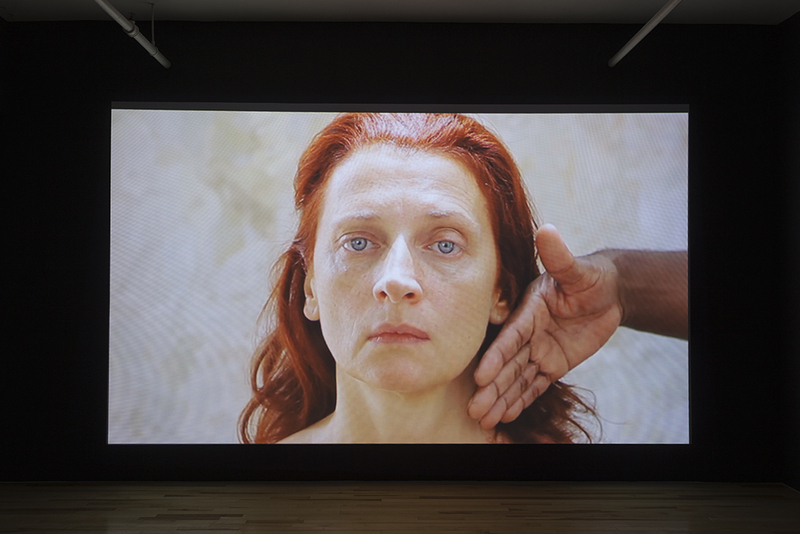 Galerie Trois Points is pleased to present, un-raveling, an exhibition of video work from the Russian-born artist Olga Chagaoutdinova who invests the second gallery space, transformed into a screening room from February 23rd to March 30th. Known for her fine photographic work, Chagaoutdinova is showing a new video piece, a record of a performance where she seems to transform into a rag doll, giving herself over to anonymous presences. 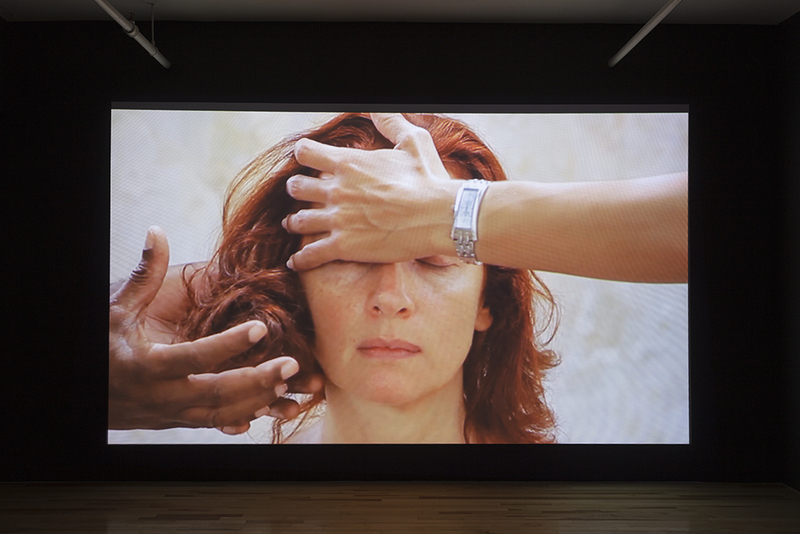 The artist dispossesses her self to these strangers’ hands, tangling her hair and touching her face, ignoring any privacy. 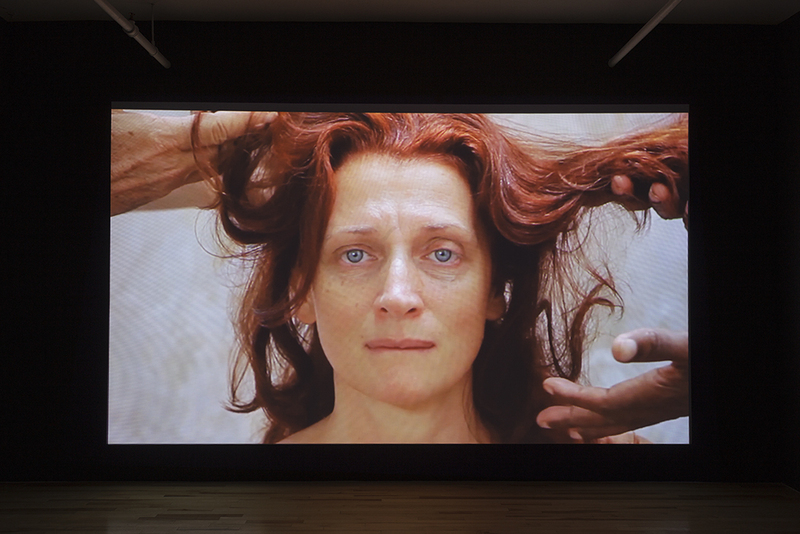 This very effective video is a record of a performance in which the artist is seen to wither before turning back to life. A tear sliding down her cheek, suppressing a laugh or letting a tender look glimpse, Chagaoutdinova voluntarily confronts to her own limits through physical contact she is imposing herself. The single shot hypnotizes as the hands come and go as waves over her face, giving the rhythm by modulating the emotions of the artist. It is through the idea of total surrender to the other – the stranger – that un-raveling explores human relationships that shape and meld the lifetime. 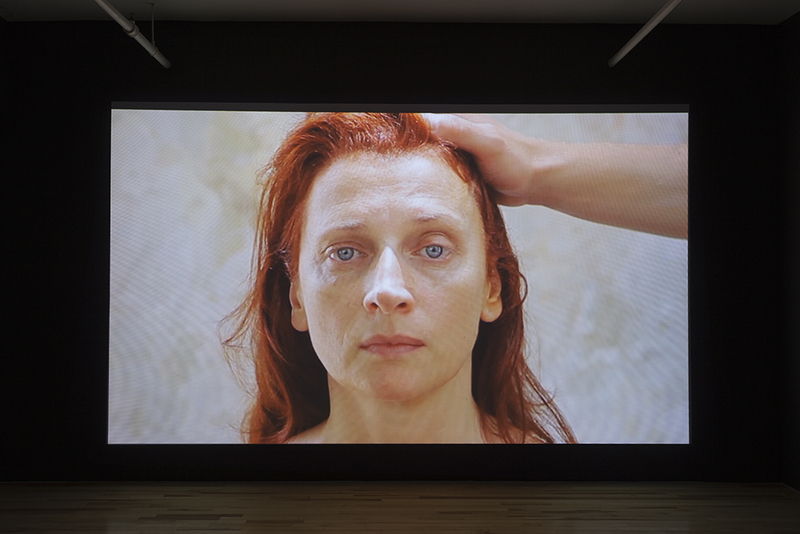 The cyclical slow pace of this video is in continuity with STOM-ACHE, the body of work presented at the gallery in 2009. Self-representation and performance are an important part of Chagaoutdinova’s practice, affirming ideas of pain and vulnerability of the body. Canadian artist Olga Chagaoutdinova graduated with an MFA in photography from Concordia University and currently teaches at the Alberta College of Art and Design. 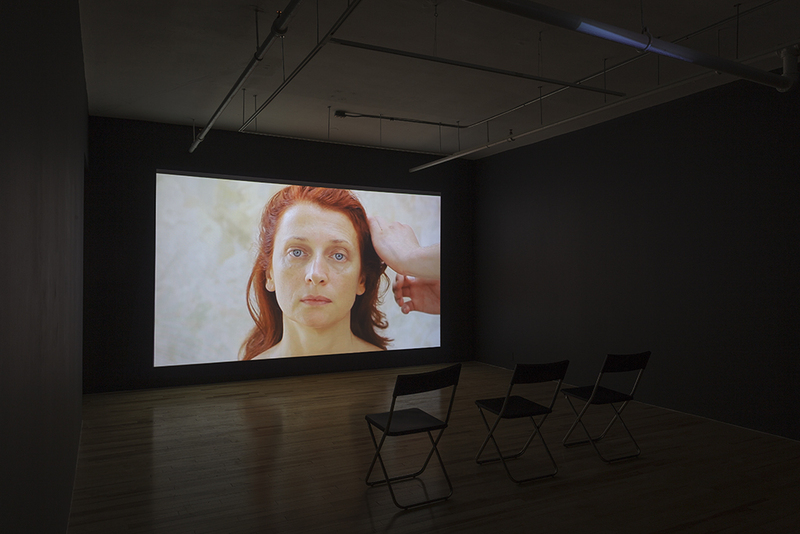 Her work has been widely exhibited in Canada, Europe and Cuba, namely in a solo exhibition at the Kharabosvk Far East Museum of Fine Art, the Museum of Contemporary Canadian Art in Toronto as part of the CONTACT photography festival, the Esker Foundation (Calgary), the Asolo Art Film Festival (Italy), in Regart (Lévis), Dazibao (Montreal), The Pabellon (Cuba), the Ludwig Foundation (Cuba), as well as the Leonard and Bina Ellen Gallery (Montreal). Her works are included in many collections, including those of the National Bank of Canada, Hydro-Québec, Collection de prêt d’oeuvres d’art of the Musée national des beaux-arts du Québec, Far East Museum of Fine Art (Kharabosvk), Centro Hispano- Americano in Havana and that Andy Pilara Collection.